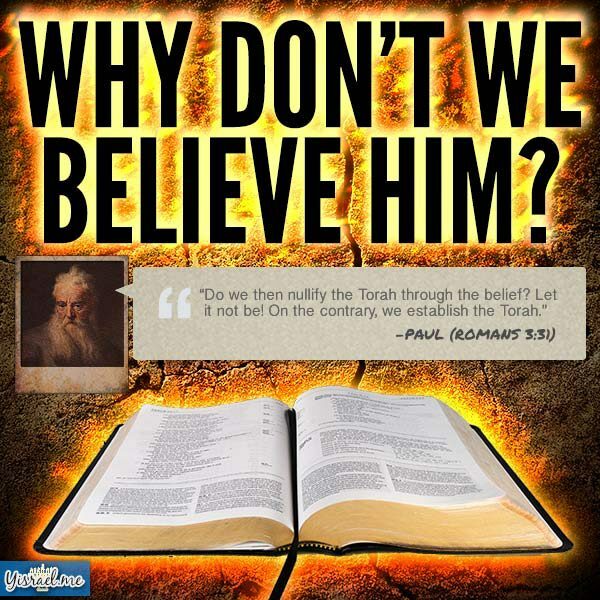 Why don’t we believe God? Find out if your pastor is unknowngly an Anti-Christ? Daniel 7:25 and it speaks words against the Most High, and it wears out the set-apart ones of the Most High, and it intends to change appointed times1 and law2, and they are given into its hand for a time and times and half a time. Footnotes: 1This is another word for festivals. 2Changing the law amounts to lawlessness. Read in 2 Thess. 2:3-12 about “the lawless one” and the “lawlessness” which would take over (indeed, it has already taken over!) in the set-apart place, and also about Messiah’s judgment upon the lawless “prophets” in Mt. 7:23, and the lawless “believers” in Matt. 13:41 (The Scriptures 1998+)! Christianity today is not the “Christianity” of the New Testament! We concur completely with President George Washington as he wrote to Moses Seixas, Warden of Kahal Kadosh Yeshuat Israel, the Hebrew congregation of Newport, Rhode Island, and said; “May the children of the stock of Abraham who dwell in this land continue to merit and enjoy the good will of the other inhabitants; while every one shall sit in safety under his own vine and fig tree and there shall be none to make him afraid”. Be assured that when George Washington wrote this he understood the stock of Abraham to be the generations of Abraham, Isaac, and Jacob. Notice in the above excerpt that George Washington didn’t address his letter to “the Jews” of… Originally, the word “Jew” was primarily utilized as a shortened version of the the word “Judah”. Judah is only one of the twelve tribes that compose, the whole of, the nation of Israel. There are eleven others. What began as an abbreviated form of only one small portion of the people of Israel has now taken on many meanings. Today the word “Jew/Jewish” can refer to a person’s ethnicity, promoters of the “new world order”, religious preference or many other inferences. And of course the term “Jew” can also be applied toward the religious system that is based upon the (man made) Talmud and other man-made religious laws and traditions. The word “Jew/Jewish” should not be considered synonymous with the term “Hebrew”. However, generally speaking, the terms “Hebrews” and Biblical (not political) “Israel” are synonymous. It is critically important to note that the terms “Hebrew” or “Biblical Israel” are not synonymous with the (mostly secular) body politic currently operating in the land of Israel or the terms “Jew” / “Jewish”. Abraham (known as the Father of our Faith) was not Jewish but he was a Hebrew. Being of the people of Israel; King David, and Yeshua (Jesus) Himself, were also Hebrew. And in their case they were specifically from the tribe of Judah as well. But they were definitely not “Jews” in the modern sense of the word. According to Strong’s Concordance, the definition of “Christian” is “follower of Christ”. Not that long ago in American History, The Ten Commandments which Yeshua (the Hebrew name for Jesus) taught, along with the rest of the Bible,were vigorously expounded upon among Christians. Though you may or may not hear this at the corner church these days; What we purpose is not new. It’s just a returning to many of the basic doctrines of the Christian faith and the way things should still be. The Biblical roots of Christianity grew from an everlasting covenant that Yahweh God made with Abraham. Today, as always, Believers enter into and become part of that same covenant through faith in Jesus Christ (Yeshua the Messiah). Apostle Paul, who had previously been a Jewish Rabbi, wrote these words to fellow Believers in Rome, “Do not boast against the branches (Israel). But if you do boast, remember that you do not support the root (root =Israel and the Hebrew origins of our faith), but the root supports you (Yahweh God’s people)” (Romans 11:18). As people of Yahweh, the God of the Bible, and followers of Yeshua the Messiah (Jesus the Christ), the more we know and learn about our Biblical Hebraic roots, the better we can know and serve Yahweh, the God of the Bible. And the more we know Him the more productive, fruitful and blessed we are in our daily lives. When we read the Bible through Hebrew / Hebraic eyes (of which it was written), our understanding becomes much richer and deeper. A clearer perspective evolves to include things that we never before even knew existed. The impurities float to the top and the good stuff is left remaining. When you are born into a country, or even simply live in a country, you accept it’s language, customs and culture (theoretically). In these ways you are able to function and communicate with others of the same nationality ie; your neighbors, employer, customers, and others. Abraham along with King David, Yeshua and His early followers were primarily Hebrews of the nation of Israel. Therefore, the more we understand and embrace the Bible from the perspective of those who lived, breathed and penned it, the more we will understand Yahweh God and Yeshua the Messiah. Please note that Biblical Israel is not synonymous with the geographical / political Israel that we see on the news today. Spoke the Hebrew language of the Hebrew Bible. In these ways, as Yeshua / Jesus was unquestionably a Hebrew of Israel, we readily embrace and hold fast to the attributes of Yeshua the Messiah as expressed in the Hebrew Roots of our faith. Likewise we also appreciate the Spirit, Truth and commitment of the disciples and Apostles that were commissioned by Yeshua as recorded in the Bible from Matthew to Revelation. For more information regarding what we believe please click here. Apostle Paul is probably the most misunderstood person in the Bible. Both Christians and Jews think that Paul was an “anti-Law” Jew who created his own religion and called it Christianity. But when we understand that Apostle Paul was a Hebrew of the nation of Israel, and that He approached Yeshua the Messiah, The Ten Commandments, and the “Law” or Pentateuch (and the rest of the Hebrew Bible), from that perspective, then we are able to see Apostle Paul and his writings from an entirely different light. Suddenly the confusion slips away. 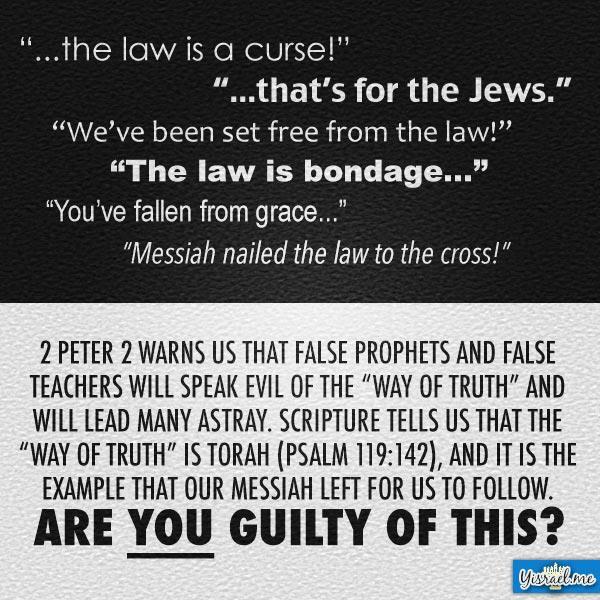 From a Western world view, “the Law” (Torah) is erroneously understood as a legalistic system of rules which Israel had to keep in order to be “saved”. The Western world view of “Grace” has come to be understood as freedom from “the Law”. As these understandings have evolved, “the law” of Judaism and the “grace” of Christianity have been placed in opposition to one another. Was this by design? These are modern world views but this is not what Yeshua, Apostle Paul, or the others who embraced first century Christianity taught and lived. This is evident by their writings. But unfortunately things have become muddled. As we accept Yeshua as the Messiah, an exciting benefit of understanding Biblical Israel and the Hebraic roots of our faith is that we are enabled to understand Yeshua the Messiah more and we are then subsequently able to follow Him better. A quick, objective view of the Bible will reveal that, generally speaking, the Bible is a book written by Hebrews of Israel to all of God’s people. Unfortunately this understanding has been derailed and convoluted by others with racist views. Because of this it is important to understand that the Bible was lovingly given to the world so that ALL could accept the Salvation offered through redemption by Yeshua as the Messiah. Today, the Catholic and Babylonian influences, along with apostasy, have had a tremendous impact / influence upon the Protestant / Christian Church. As stated in other areas of the web site; though this information may understandably seem like a bit of a stretch today; in days past the relationship between the Hebrew Roots of our faith and Yeshua the Messiah was not so difficult to see. For example, in early America, the Sabbath was strictly practiced, there were no commercial holidays to confuse things, The Ten Commandments were closely adhered to and the entire Bible was America’s text book and governing document for individual citizenship. Just The New England Primer alone is glaring evidence of that. Just as Yeshua and the Apostles walked out Biblical principles in their daily lives; In many ways, by looking at early America we can see how Biblical principles can and should be applied to our daily lives today. “May the children of the stock of Abraham who dwell in this land continue to merit and enjoy the good will of the other inhabitants; while every one shall sit in safety under his own vine and fig tree and there shall be none to make him afraid”. This information was originally found at: http://lwhf.com/hebrew-roots-christian-faith-old-testament/ TorahIs4Today does not necessarily agree with anything else found on their website because we have not read it all to make such a statement. Is your Bible in the right order? Most “Christian” Bibles (Bibles that include the First Century Writings aka “New” Testament) have the Tanakh (falsely called the “Old” Testament) arranged in the wrong order. The word Tanakh is an acrostic of Torah, Nevi’im and Ketuvim. The following order is correct from my understanding. 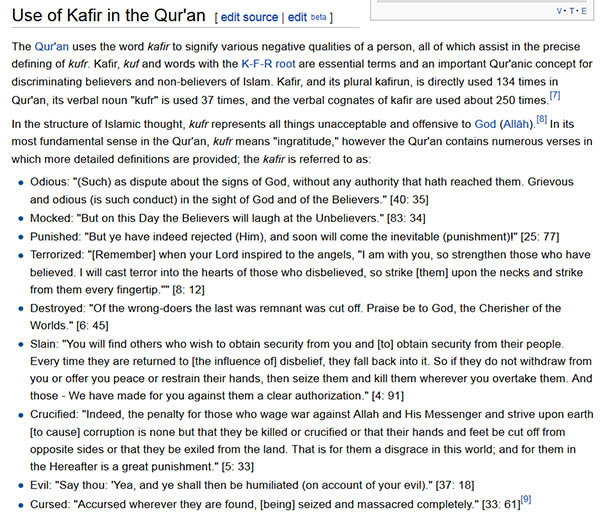 Also spelled ‘kafir’ or ‘kaffir’, Kuffar is a highly derogatory Arabic term used to refer to non-Muslims, though it is usually directed less against “People of the Book” (Christians and Jews) and more against others (Hindus, Buddhists, Shintoists, etc). Lest one be tempted to shout, “Out of Context!,” note that it is not we who are taking these Koranic quotes “out of context” but devout (“radical/extremist”) Muslims such as those in the “ummah” or Islamic global community who are doing so. (Note that awliyaa means “friends of Allah.”) The videos below demonstrate this infidelophobic attitude, which we can tell also from the vast bloodshed over the past 1,400 years or so of jihad against infidels. Below are some questions and Scripture passages that we believe are difficult to understand if the Torah is fulfilled in the sense that God’s children no longer need to follow it. They are passages that compelled us to begin looking into the issue of freedom from the law. Truth About Islam. Truth About Quran, Muhammad, and Allah. World Caliphate Coming. Brigitte Gabriel – Truth About Islam. Truth About Quran, Muhammad, and Allah. World Caliphate Coming. At this time Adonai is restoring the Torah as the foundational document for faith and practice among those of us called out from the nations. 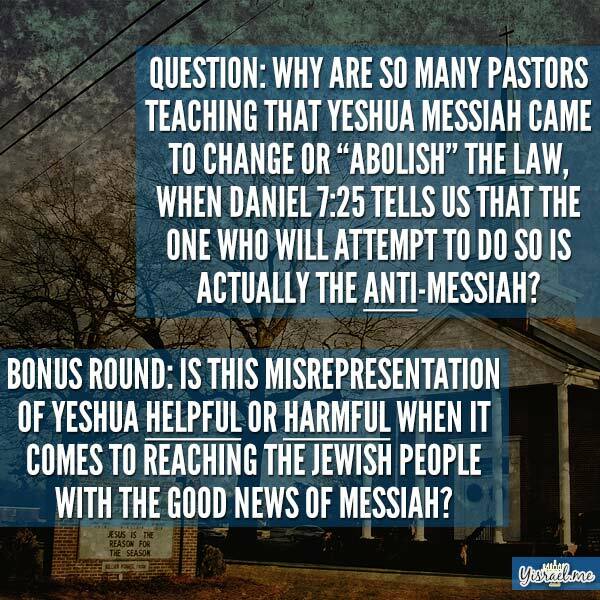 When reading through the book of Acts and the Epistles we clearly see the body of Messiah, consisting of Jewish and non-Jewish believers living in Torah based communities. Why didn’t this union of Jew and non-Jew continue throughout the centuries? What happened to separate the non-Jewish believers from their Hebraic roots? Why did the early Western Roman church set itself against the synagogue and early Messianic believers? Hopefully, these well documented articles will answer some of these questions. They Were Different From the Jews and Different From the Christians – This second article presents a plethora of evidence that 1) the non-Jewish believers of the Western Roman Church deliberately separated themselves from the Messianic Jewish believers, 2) the early Messianic believers (of the book of Acts) and their offspring (through many generations) continued to observe the Torah (Law) since they did not perceive it as having been abolished, and 3) the non-Jewish believers separated themselves from the early Messianic Jewish believers because of issues related to obedience to the Torah (Law). The Earliest Divisions Within the Christian Church – This article provides concrete evidence (from the recorded testimony of Christians of the 1st – 4th centuries) that the earliest Christian Churches worshiped on the Biblical Sabbath day and kept the festivals of Leviticus 23. Furthermore, it shows that the Western Roman Churches were the first to abolish Sabbath and Festival observance, while the Churches of the East (including those listed in the book of Revelation) continued to celebrate Passover and other Feasts found in Leviticus 23 to the dismay of the Western Churches. Seeds of Separation, Fruits of Replacement – The fourth article discusses one of the most damaging effects of the seeds of separation–Replacement Theology. After rejecting the Torah and their Hebraic roots, the non-Jewish believers went on to define themselves as “the church,” an entity separate from and better than the people of Israel. The Church Fathers saw the destruction of Jerusalem (and the Temple; 70CE), and the exile of the Jewish nation (135 CE) as divine signs that Adonai had rejected Judaism (specifically the Mosaic covenant) as a religion and the Jewish people as the covenant people of Adonai. With forty references, this article clearly discusses the motivations of the Church Fathers for separating themselves from anything Jewish and how they did it.